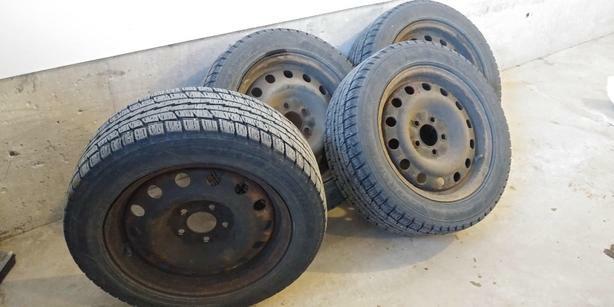 Dunlop studless winter tires on 5 bolt pattern 16inch rims. Plenty of tread left. See pictures. Previously on 2006 Honda Civic. Purchased in 2008.